This beautiful charming custom-built home was built by a a general contractor for his family in 2017. Lived in for only 2 short years, this home has all the custom features starting with a custom front door which leads right into open living room with a large custom fireplace. 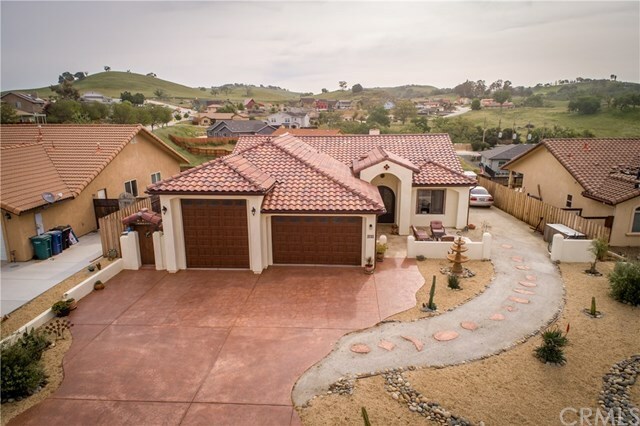 The Well-designed Spanish style home has many custom touches including custom kitchen cabinets, granite counters, top of the line stainless steel appliances, you must see in person to appreciate the features. There is plenty of parking on the side of the home for your boat or RV and a large single garage door as part of the 3-car attached garage. Easy to show. Heritage Ranch offers their homeowners a private marina, 2 swimming pools, tennis courts, playgrounds, equestrian center and much more. You are close to the grocery store and Places to dine.